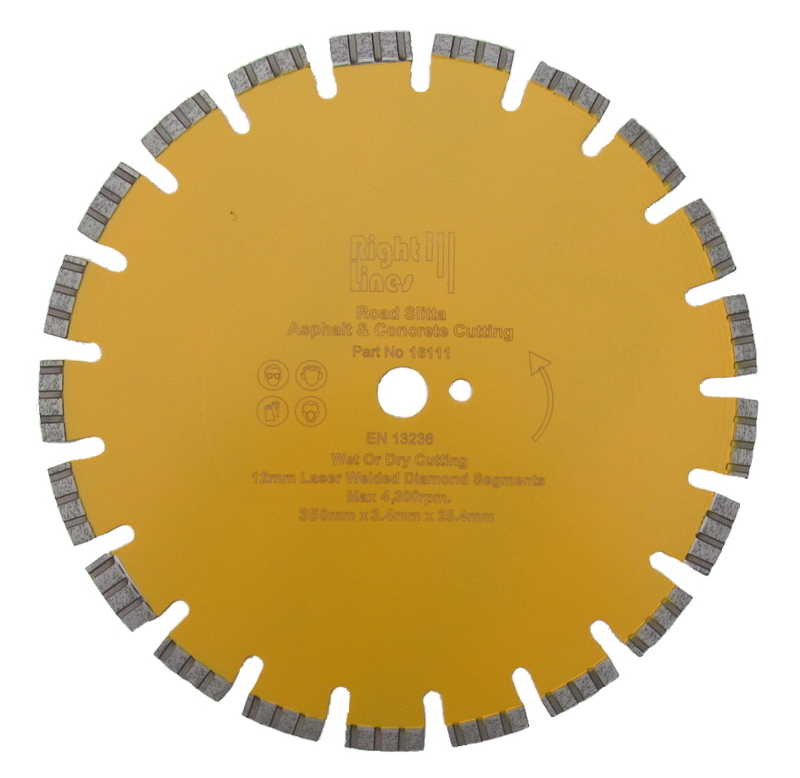 Applications: Road Slitta is a unique design of diamond blade gives the best of life and performance with floor saws and hand held petrol saws on ground work. The diamond segments have 2 means of protection with occasional skewed segments to direct the abrasive slurry away and carbide inserts on the leading edge of the diamond segment welds to prevent under-cutting. 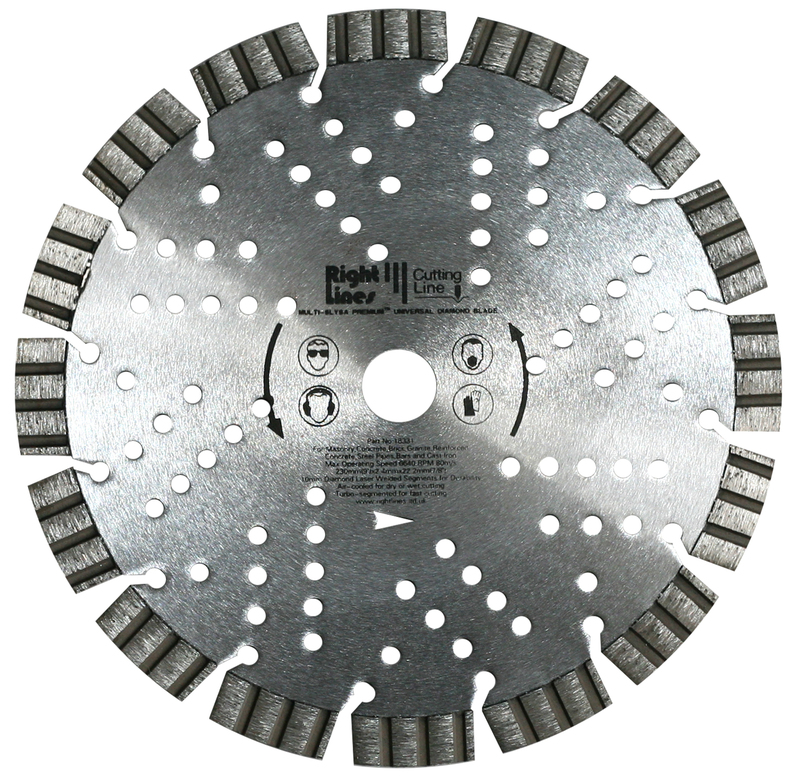 The premium grade diamond segments are designed to cut concrete with hard aggregates. The blade is thus dual-purpose for all groundwork, without the needs to change blades when slitting across different surfaces. 10mm deep laser welded diamond segments. Unique double protected design for abrasive asphalt and green concrete. Good diamond concentration for cured ground concrete, even with hard aggregates. Tungsten carbide inserts protect the vulnerable leading edge of the welds. Skewed segments remove abrasive waste to minimise wear. Sizes for most petrol saws and floor & road saws. For most hand held petrol saws such a Stihl, chose either 300 or 355mm with 20mm bore. 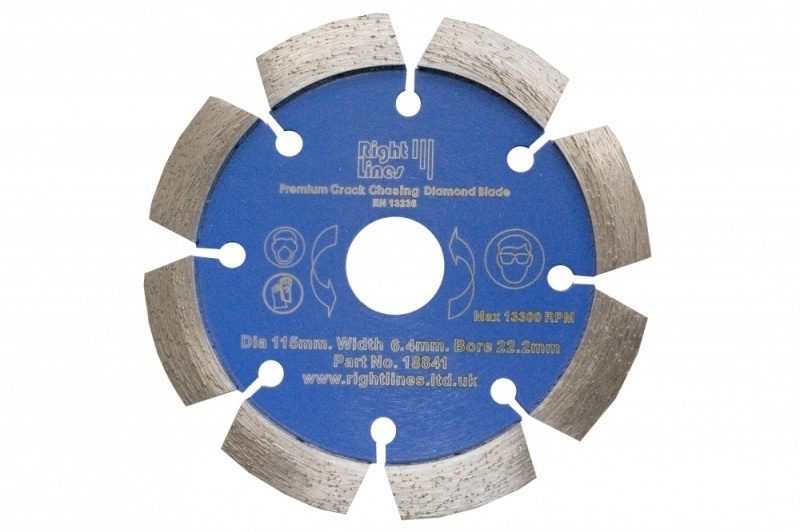 For most floor saws, a bore size of 25.4mm is used, along with the drive pin hole which is included. 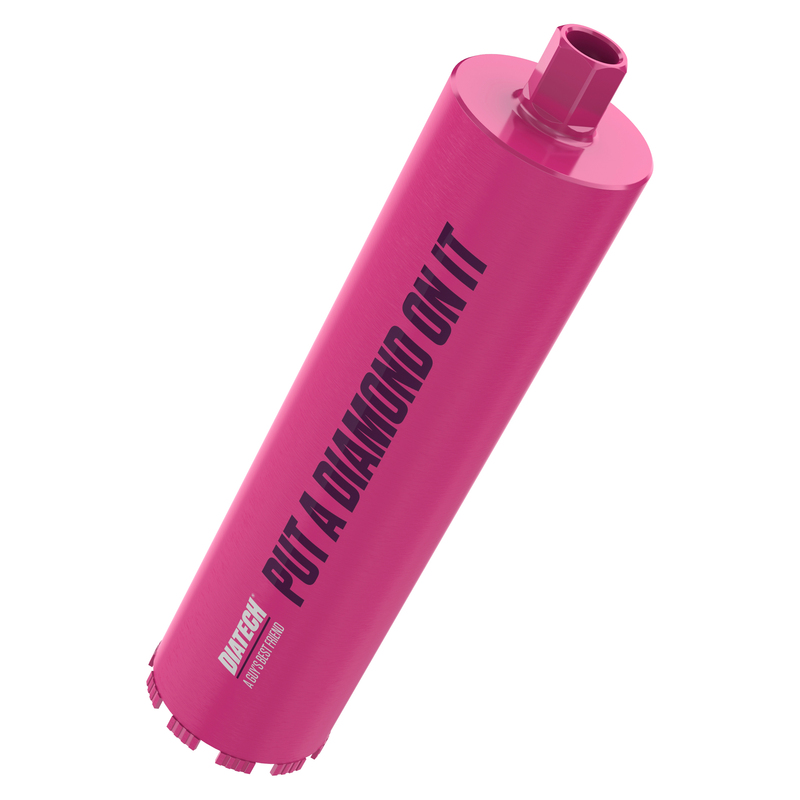 The Lazer range of diamond core drill bits has a market leading specification to drill tough materials quickly. 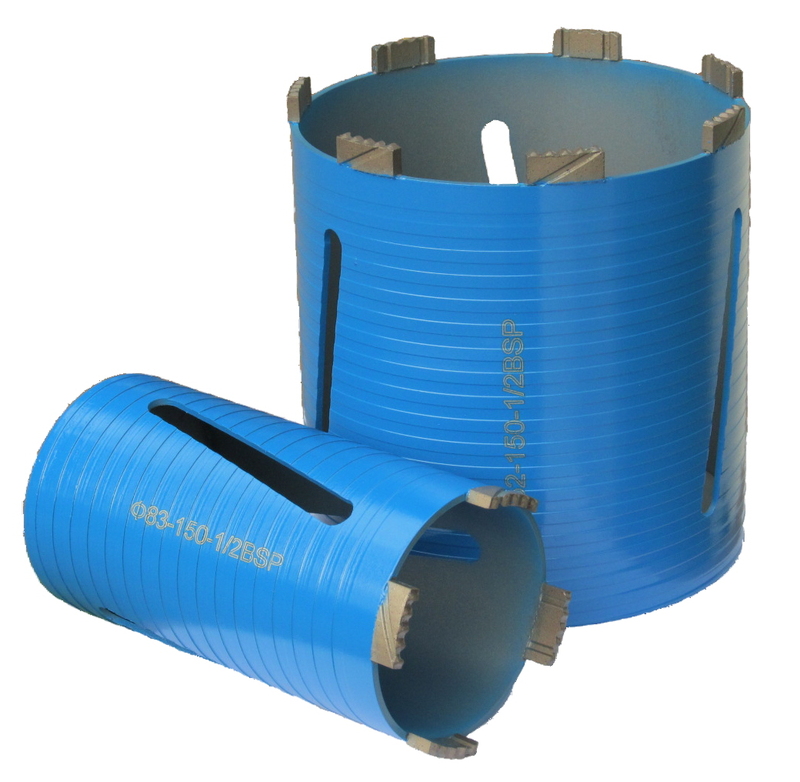 We stock a range of wet use diamond core drill bits for concrete and stone.